All right – so here we go. I am ready to do this blogging thing! 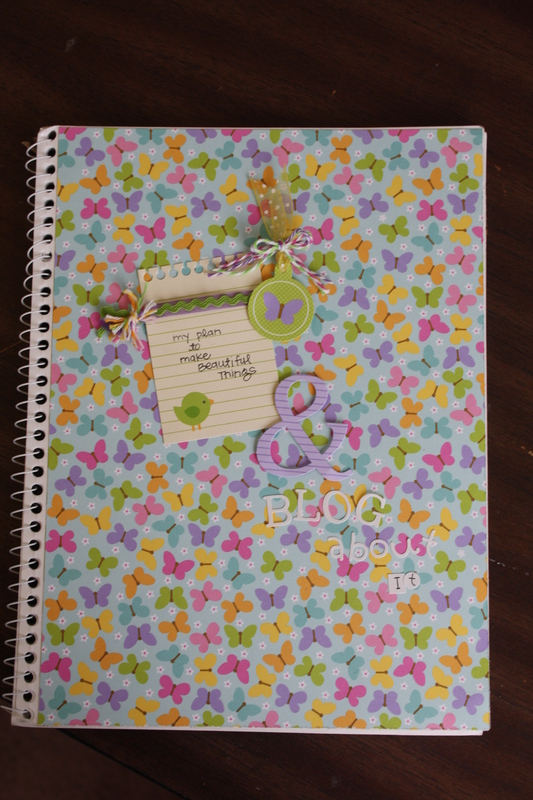 I even made a notebook so I can plan what I will blog about. I made it using my beloved Doodlebug Products that I had and cuted it up! (Or made it beautiful – which is the point and the goal of my blog) I used a regular spiral notebook. Measured the front to cut my cover piece to fit and then I used the Hello Spring line of Doodlebug products that matched each other to make it beautiful & fun. It is so easy to use a theme set from Doodlebug because they have cute cuts, icons, 12 by 12 paper, fancy frills and more that coordinate and make it so fun to create something with!